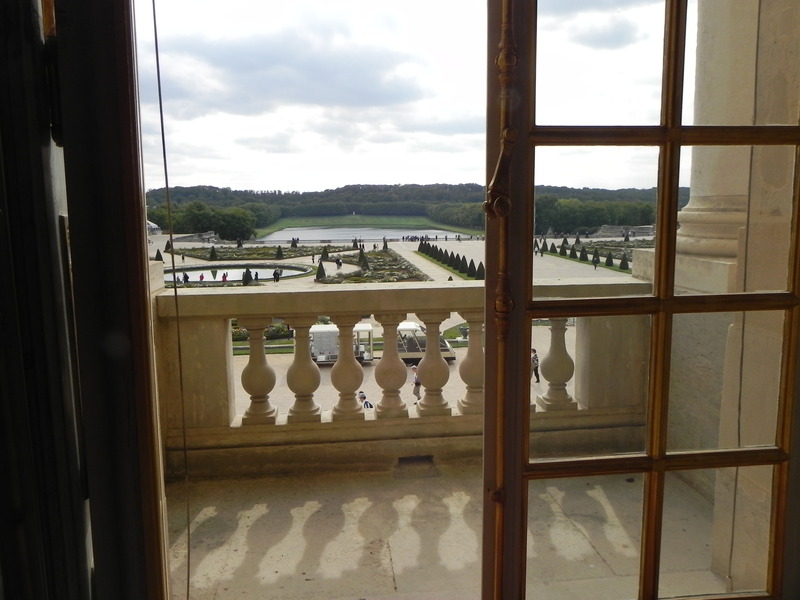 The Experienced Travellers donned their beauty marks and birdcage headdresses for a visit to the Chateau de Versailles. Since we were staying next door at the Trianon Palace, we avoided the notorious crowds – and bypassed the queues thanks to Nurse’s hotwheels walker! Yes, they did use the stairways as pissoirs. No self-cleaning loos here. 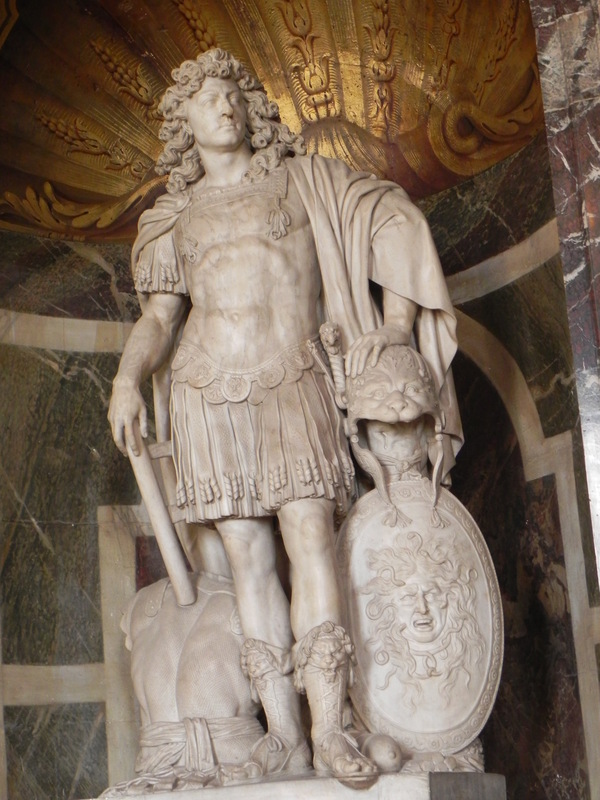 It began as Louis XIII’s man-cave near the sleepy village 0f Versailles. 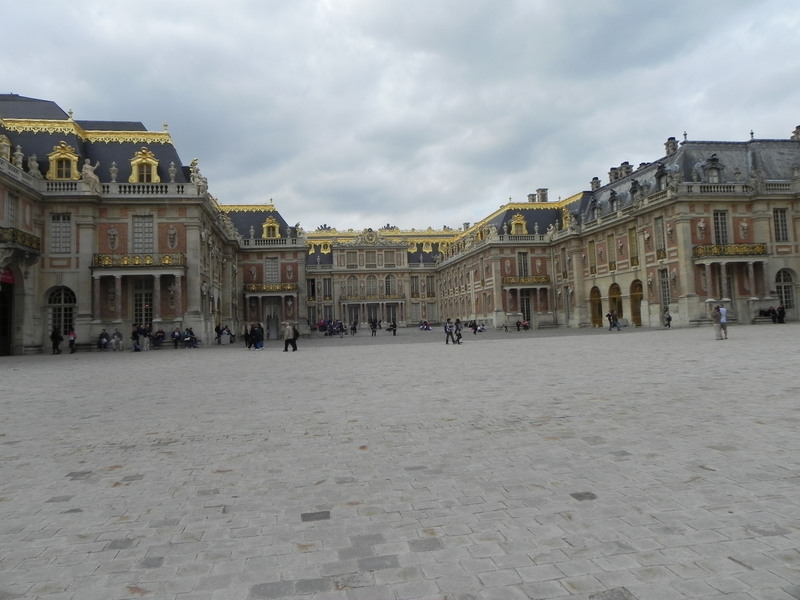 His son, Louis XIV, had a penchant for fresh air and remodeling. So by 1682 it was the seat of government and the envy of every European ruler. It survived the Revolution (just!) and intrigued Emperors, Kings and 20th century diplomats. 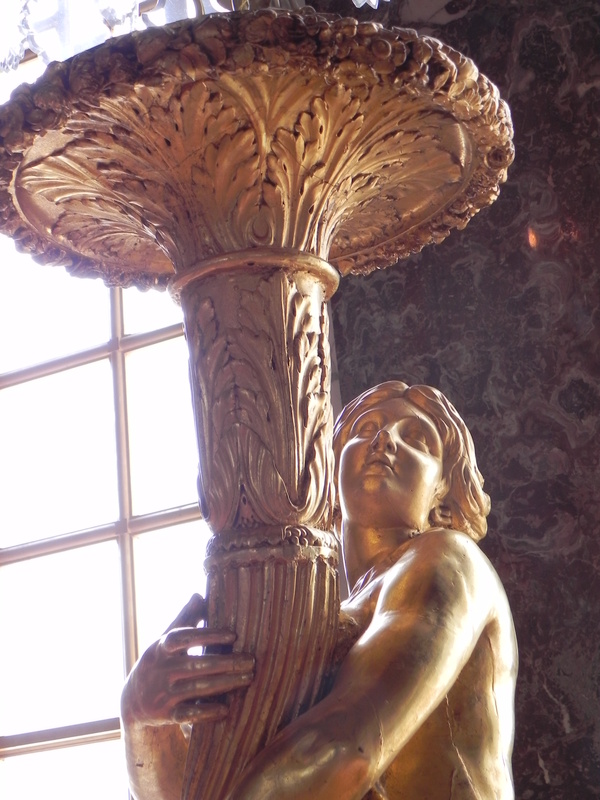 Versailles is La Gloire. They mixed patterned rugs with painted ceilings, threw in a few cherubs and pulled it all together with yards of brocade, glass and chandeliers. But it works. No Ikea interiors for the Sun King. 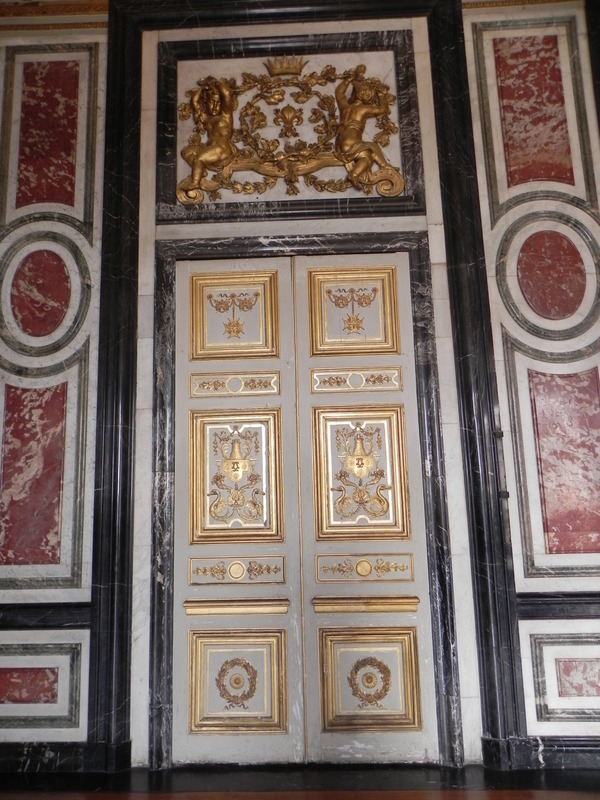 In you were in the presence of the King, you would exit by walking backward through these doors. No one turns their back on His Majesty. One result of these rules was the fashion of growing the pinky-finger nail very long — because according to protocol, the correct way to announce yourself at someone’s door was to scratch upon it with your pinky. The ETs have inspected these doors. No one inside could possibly hear the pinky scratch. Surely, waiting for the door to be answered drove desparate courtiers to potty behind the gilded screens. 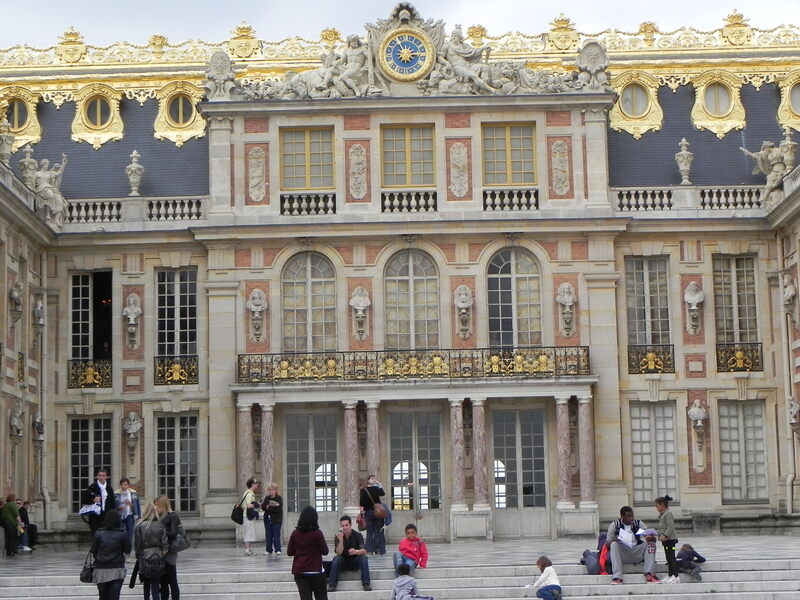 This is called educated historical interpretation, and we became adept at Versailles. 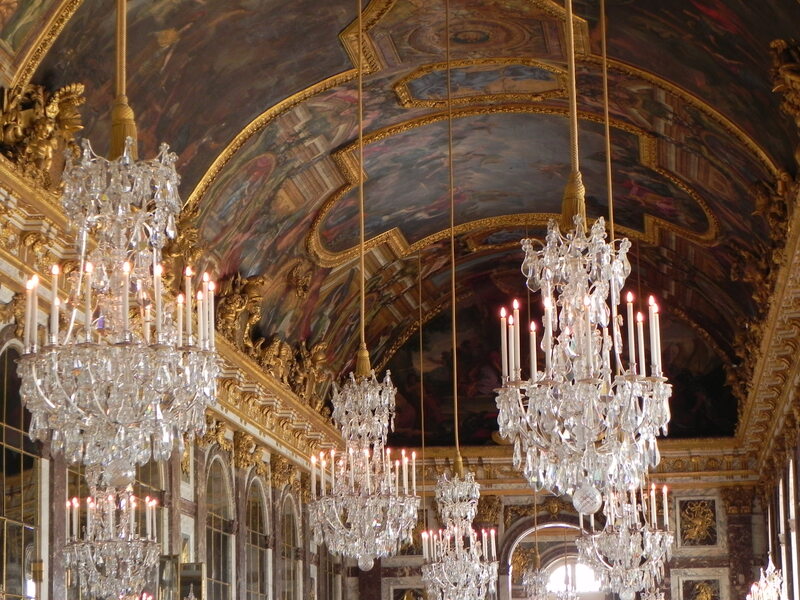 The Hall of Mirrors, the centerpiece of Louis' palace. 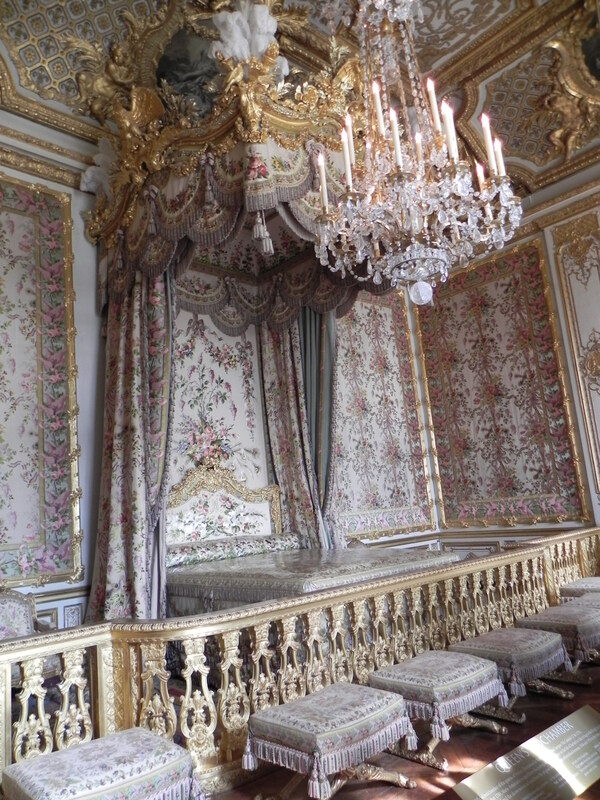 Courtiers gambled away estates at the card tables, and Germany conceded WWI in this gallery. The Chateau gardens are spectacular too. Filled with scented alleys, grottos and hidden corners, it’s clear why extracurricular amour and politcal intrigue were popular pasttimes. And there were the “spectacles” of Louis’ youth. When he threw a picnic, it meant feasting, fireworks, fountains, canal barges and dancing horses. Rent the movie Vatel with Gerard Depardieu and see for yourself! The ETs left the Chateau in a courtly mood, with the music of Lully in their heads. Had we lived then, would we be Princess of the Blood, or scullery maid? One hopes for the former, but it’s worth remembering that Louis was known to don his hat to the lowliest maid in the name of chivalry. Someone has to do the dusting….